Develop learning material for unit, and Select assessment instruments and develop assessment tasks that are fair, valid, and reliable and meet the requirements of Universal Design Learning framework. 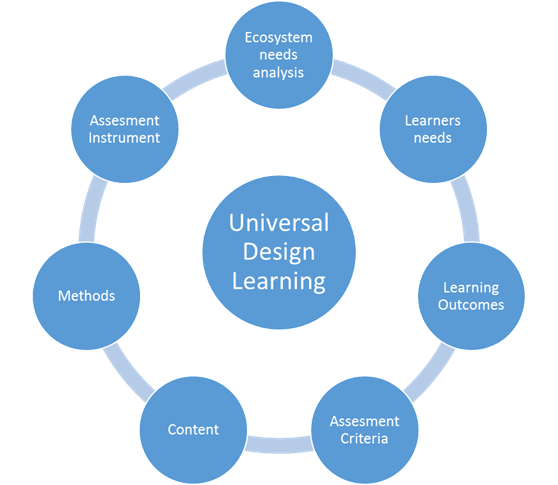 This framework has been developed to assist the unit planner or educator in planning and designing learning programmes that integrate the concept: Universal Design Learning. Special reference is made to online learning. The events in the framework are based on the concept of Universal Design Learning which makes teaching more than just delivering content; it's about making complex ideas understandable and guiding learners to higher-order thinking. A successful approach to teaching complex topics involves three phases: systematically unpacking the material, turning it into engaging and effective lessons, and then providing extra assistance to students who are struggling. Combined with Universal Design for Learning (UDL) principles for making learning accessible, you can maximize student engagement and achievement-with even the most complex subjects. In each of the sections of the framework a brief review of the literature search is presented. From this literature search, various ideas have been summarised. These are known as theoretical underpinnings. When developing learning programmes for adult learners, constantly check these theoretical underpinnings and monitor your progress against them. N.B Here is a list of the theories that underpins this framework: The needs of the organisation needs of the organisation should be assessed if the learning unit is to be relevant to the needs of the organisation and the sector. The tasks performed by learners in their ecosystem situations should be analysed to establish the skills, knowledge and attitude/values needed to perform the tasks. The tasks should purposefully, motivate learners, stimulate their interest and motivation for learning. The concepts should be presented in different ways, for resourceful, to produce knowledgeable learners. For strategic, goal-directed learners, differentiate the ways that students can express what they know. The learning outcomes learning outcomes should be clearly stated, so that the learner and educator can be held accountable for the learner's achievement of the outcomes. The curriculum should be designed around students to motivate them and recognise their prior knowledge, skills, attitudes and values. A relatively small number of topics should be introduced in each grade to ensure the depth and quality of students' learning. Topics may overlap in order to reinforce key concepts. Topics should be sequenced to reflect the logic of the academic discipline or disciplines on which they draw, enabling progression from basic to more advanced concepts through stages and age levels. N.B In order for you to implement this frame work well it is important that you follow it sequential.The following is a step by step approach to follow the guideline in this frame work: Ecosystem needs analysis "	Here you can use the the different type of survey for example in orde to determine the needs of the organisation for example: o	Survey Monkey o	Typeform. ... o	Google Forms. ... o	Client Heartbeat o	Zoho Survey. ... o	Survey Gizmo. ... o	Survey Planet. The same tools can be used in oder to find out what type of learner are you developing the unit for. Learnrning outcome It is important to note that your unit must indicate what learning have they achieved after completing the exercize.This will guide the educator and the learners to strive to achieve the intended goal for the unit Assessment criteria The assesment criteria chosen must depict the principles of UDL.This include amongs others things like Quizzes,vocabulary online puzzles etc Methods "	Know your students' strengths and weaknesses. 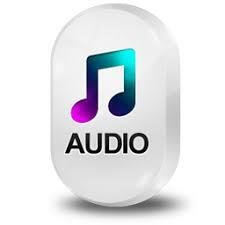 ... "	Use digital materials when possible. ... "	Share content in a variety of ways. ... "	Offer choices for how students demonstrate their knowledge. ... "	Take advantage of software supports. ... "	Low and No Tech options do exist. ... "	Learn from others.